Have you seen prices on notebooks and crayons in February? They certainly aren't on sale by any means! If you ran out of glue when your son was working on his science fair project, you likely ran to the store and could have kicked yourself for not buying another bottle when it was on sale during back to school sales. You had the hassle of going to the store, and you also had to pay more than you would have in August so he could cover Saturn with copious amounts of glitter. The first thing you need is a storage spot. A shelf in a closet, a bin in the garage, a box under the bed in the guest room. Just somewhere heat won't melt crayons and no musty smells will get into paper. First, decide what you need. This will vary depending on if you have children or are stocking for your home office (or both!). Then it will depend on how old your children are. Don't forget, high schoolers still find use for crayons and coloring pencils, but often not as much as a seven year old. So, don't immediately dismiss an item from a list because "She's too old for glitter pens". Try and remember what you needed to buy before the school year was finished. I remember when I was in high school, my parents only bought me seven notebooks at the beginning of the school year. By mid-year, I needed about four more. That required a trip to the store and paying more than we would have if we had purchased them in August. Make a master list of what you would love to have to prevent any 10 pm runs to Walgreens for index cards. Think creatively. After holidays, you might find Christmas themed pens for 90% off. These would usually be in the holiday section and not in the school supply area. Once again, after Easter last year, I found packages of 10 pencils for 10 cents because they had rabbits and eggs on them. I purchased all the store had, and what I didn't save, I donated to the school where I volunteer on the PTO. Free school supplies are possible! If you get a free folder or pen from a business, stash it in your stockpile. There are events such as health fairs where places will have freebies with their company name on them free for the taking (be considerate and only take one item from each display.) I have nearly a whole shoebox filled with pencils and I have spent less than $5 for all of them. I have even come across free sticky notes and memo books. Once you have a stockpile of school supplies you'll wonder how you ever lived without it because not only does it save money, but it makes life more convenient! 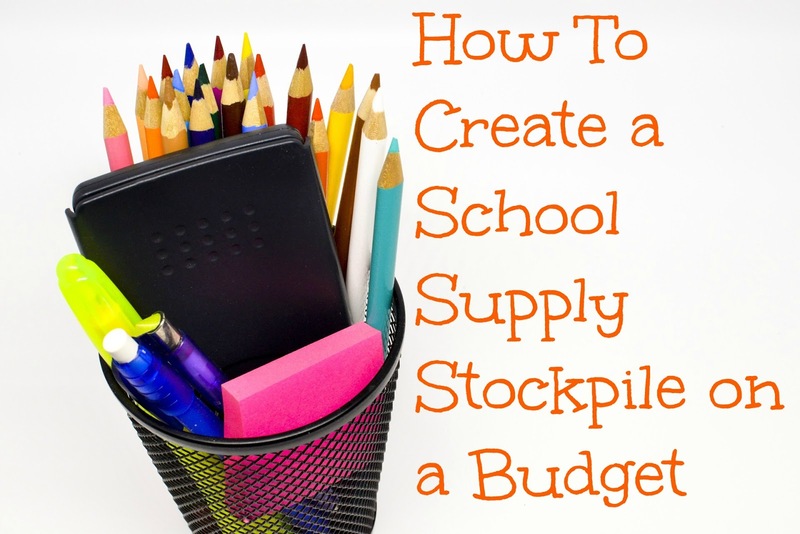 I love comments, and I would love to know how you save money on school supplies! 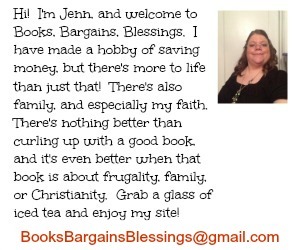 I like your article regarding savings everyday on office supplies and the like. I thank you for the great tips and for your help. This is such great advice and a good practice to get into no matter what age your kids are. Thank you for sharing on Family Joy Blog Link-Up Party. Have a great week!